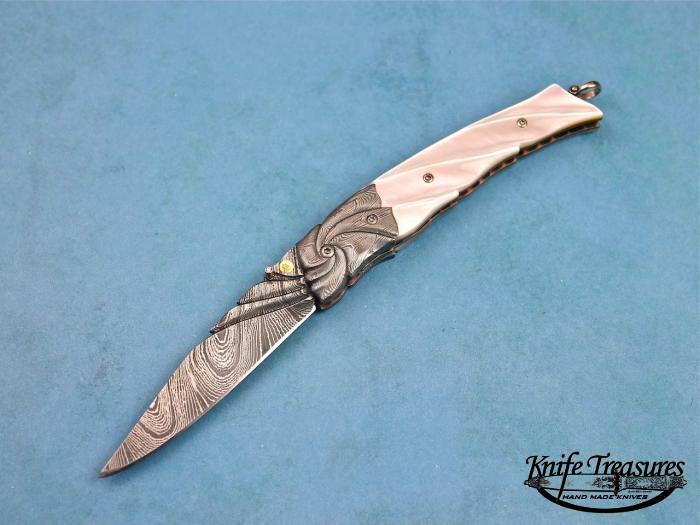 A very nice Folder by Donald Bell. 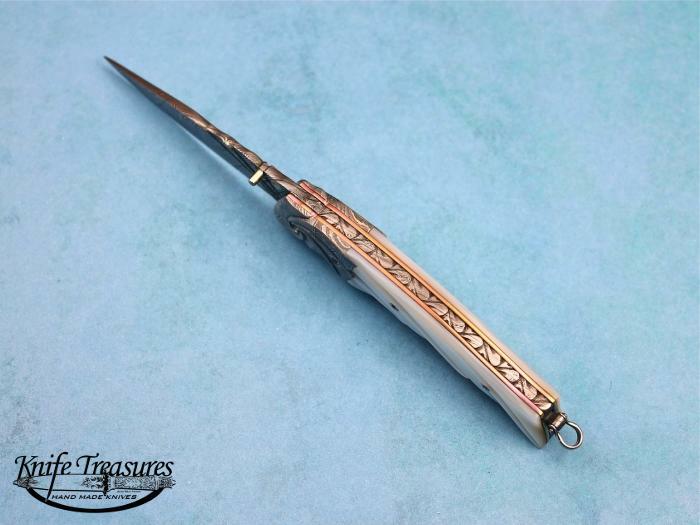 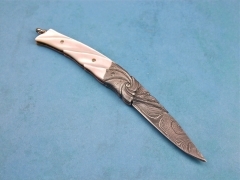 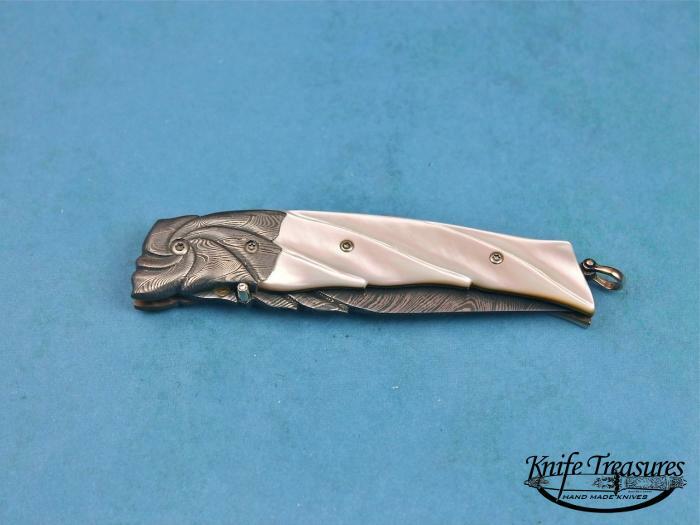 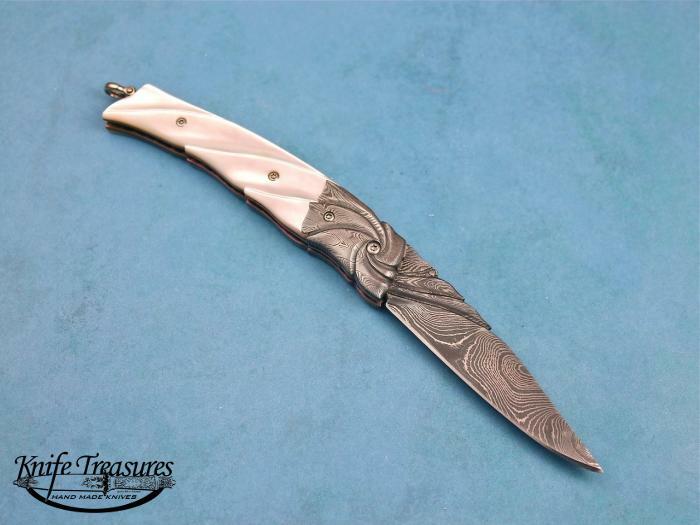 This knife has a carved blade, bolsters and Mother Of Pearl handle. 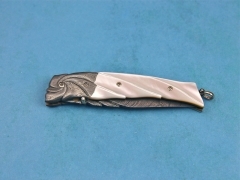 It has a nice carved spine as well as a diamond on the opener. 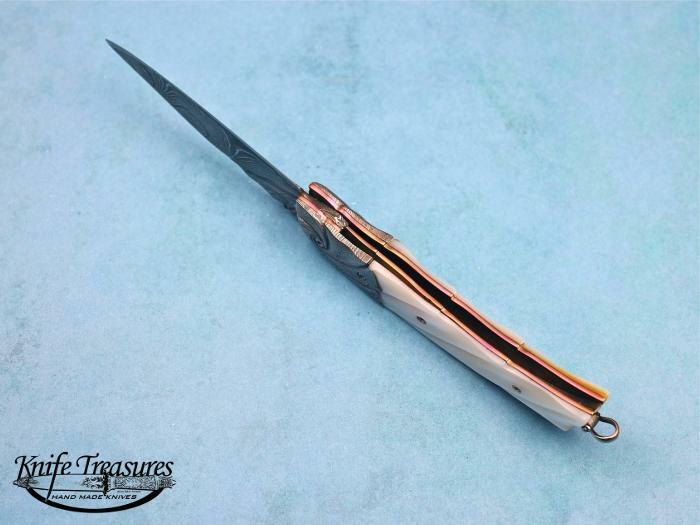 It also has a Gold bale. 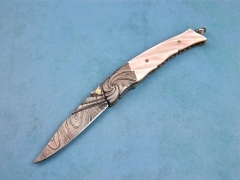 Donald Bell makes very nice art knives. 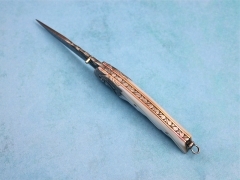 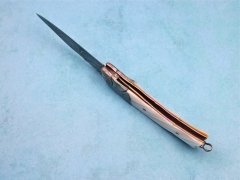 This knife has Donald Bells Mark, a Gold circle with a bell on the blade.